Have you been frustrated by trying to find the best hardwood floor refinishing Oxford has to offer? Luckily, Fabulous Floors has been renewing floors in Michigan for years! We’re in the area, ready to return the original shine back to your floors! It’s no surprise that Fabulous Floors Oakland-Macomb is becoming one of the favorites for hardwood floor refinishing in Oxford, MI. We provide quality work and an efficient pace, without compromising the value of your service. Our reviews say it all; the Oxford area loves us! We certify our technicians in both customer service and hardwood flooring services to ensure that your experience is one of professionalism and expertise. Fabulous Floors Michigan takes pride in our integrity. We promise to be straightforward and honest in all that we do. We’ll discuss with you the pros and cons of each service to determine which is best for you and your floors. 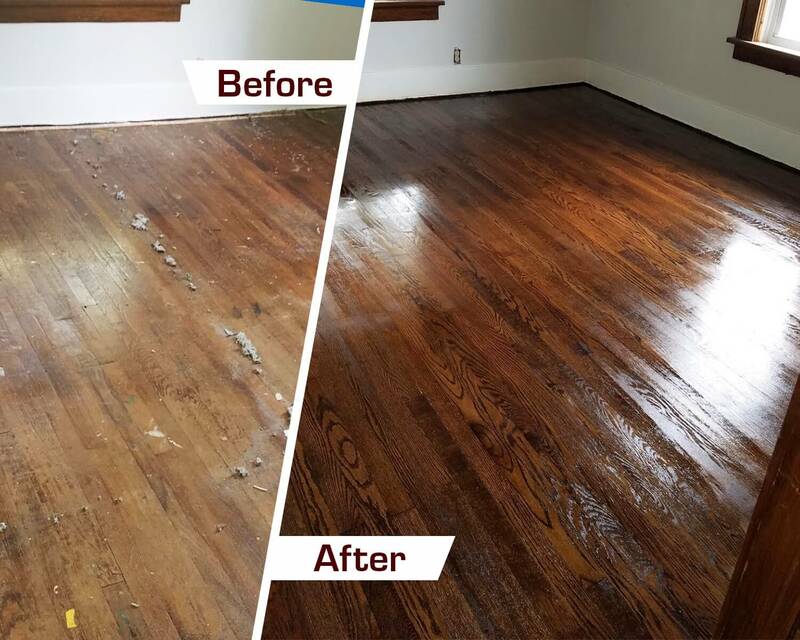 Our hardwood floor refinishing process has proven time and time again that Fabulous Floors Michigan is capable of providing the Oxford area with superior hardwood flooring services. First, we use our powerful equipment to sand down your floors, eliminating nicks and scratches. We just sand down the surface to remove the existing stain color. Our sanding equipment is also virtually free from creating any sort of dust. Then, we use your tastes to match the perfect stain color with your decor. After staining, we coat your floors with polyurethane to ensure that lasting shine, but also to help protect against future accidents causing dings and scratches in the wood. Did you know that all of our products and services are GREENGUARD Certified? That’s right, our services are completely safe for both you and your loved ones, as well as the environment. Fabulous Floors Michigan is excited to start working with you and your home, so contact us today if you have any questions or would like to set up an appointment. We are confident that you will be amazed at the beauty of your floors after our proven process.